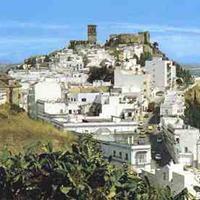 This report contains the list of all the municipalities in Andalusia ordered by their area. The information comes from the National Geographic Institute (NGI). In Ancient Rome, a municipium (Latin word which gave rise to the Spanish word "municipio") was a free city governed by its own rules. That has little to do with current city halls, however. In fact, municipalities in Spain were mapped out in the 19th and 20th centuries around the most representative population nuclei of each territory. Even so, as can be confirmed in this report, the surface areas of different ones vary greatly.